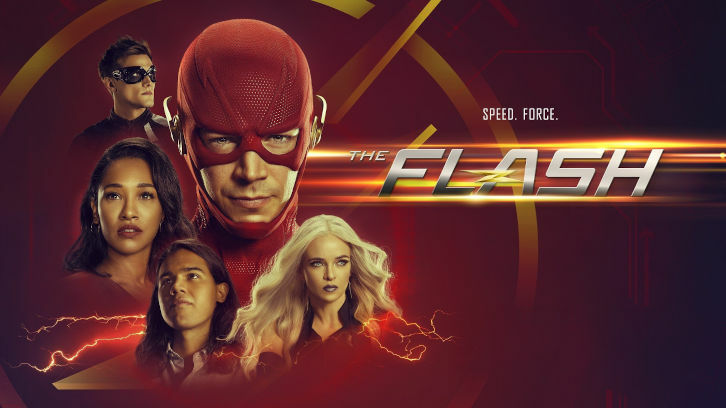 The Flash - Memorabilia - Advanced Preview: "To Save The Girl"
Candice Patton handles her material exceptionally and the ray of emotion she gets through in this outing is handled very well. The story feels authentic and flows very well, not dragging the story while showing that there are always two sides to each story and that sometimes our emotions can meddle with our memories. 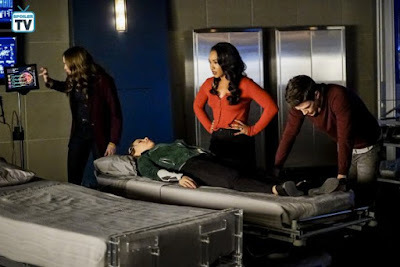 As much as the episode focuses on the West-Allen family, they still took time to provide developments to Cisco`s new storyline, The Metahuman Cure. And while I can`t emote why someone like Cisco would want to be "cured", the show digs a bit deeper into this new obsession with our main Nerd. 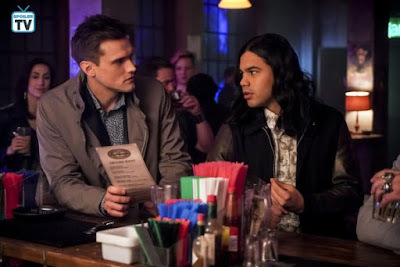 The writers exploited Ralph very well here and using his "newly" acquired quirky wisdom to improve the quality of Caitlin`s and Cisco`s life. Cisco`s rubbishness is a bit annoying as his swift change of mind doesn`t feel earned. Yes, his life was multiple times in danger but his aspiring heroism always pushed him forward. - The Episode opens with a nice Flash family moment, a little bit icy though. - Someone is very impressed with The Flash Museum and there are so many great toys. - Watch out for some Riffel effect turning headlines. - No Killer Frost this week. - And don`t tune out prematurely as the final minute of the episode contains two major character moments. I kept it short but hopefully juice enough to make you tune in tonight. To actually find out what secrets the girls' minds carry and what future stories are sparked you gotta tune into tonight. The Flash airs tonight 8pm Central on the CW.